Louisiana regulators Sept. 20 allowed more companies to haul toxic waste in the state. But the Public Service Commission did not go as far as a newly passed state law demands, which will force the courts, ultimately, to decide how to handle hazardous leftovers from industry and the oilfield. Voting 4-0, the PSC updated trucking regulations that were first passed to counter the helter-skelter dumping of hazardous waste, which became a problem in the 1970s. PSC Chairman Eric Skrmetta acknowledged the new rule is similar to what the new law wants, but the differences are significant enough not to sideline a lawsuit challenging whether legislators have the right to intercede with regulators’ authority to decide how truckers should operate. A lawsuit filed in August by the five-elected members of the PSC seeks to overturn the new law passed in June. The case is pending before 19th Judicial District Court Judge Michael Caldwell, of Baton Rouge. The PSC argues that it is not like other state agencies whose rules must be approved by the Legislature. As a stand-alone constitutional agency, the PSC is empowered to make and enforce its own regulations. If legislators prevail here, PSC Executive Counsel Brandon Frey argues, lawmakers could eventually determine, say, what profit privately owned utilities could make, thereby taking over the PSC’s function of setting the rates by which monthly electricity bills are calculated. The regulations that define how truckers are certified were written to decrease chaos and limit the task of hauling the dangerous byproducts to companies that met specific standards. But the procedures allowed for the handful of companies granted permits to directly challenge the applications of potential competitors in open hearings. 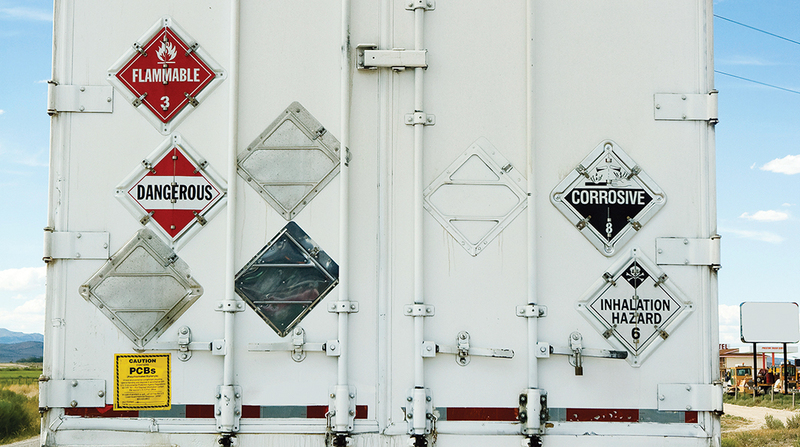 Critics contended that the truckers already certified had become a cartel bent on monopolizing the hazardous waste hauling industry in this state. Reacting to those claims, legislators tossed much of the PSC’s regulations and said, basically, that the commissioners should only concern themselves with whether the hauler had the proper equipment, insurance and financing. “This is not about safety. It’s about free enterprise. It’s about fair competition,” State Sen. Dan “Blade” Morrish, (R-Jennings), argued during the legislative session. The new rules approved by the PSC on Sept. 20 address a number of the changes legislators put in the new law. From now on, the PSC staff lawyers and experts will review applications, including financial documents, behind closed doors. Then they’ll make a recommendation on which the five elected commissioners can vote. If the existing companies want to challenge an application, they’ll have to make their presentation to PSC staff, rather than at an open hearing. The commissioners, however, kept the ancient term “public convenience and necessity,” which is the standard used to determine if a company gets a certificate to haul waste. The Legislature thought the phrase was archaic and lacked specific guidelines. Under the system in place before the Sept. 20 vote, the PSC required applicants to show a need existed in a territory that’s not being served. The new PSC rule defines the term more generally. For instance, applicants must show a need for their service, such as more waste being created, but no longer have to worry about competitors in a particular territory. Interim PSC Commissioner Damon Baldone, (R-Houma), said the new rule balances the free market competition with the need to protect the public.